TEL AVIV – Police are investigating anti-Semitic and anti-gay graffiti found on the wall of a Brown University fraternity complex on Friday. The graffiti targeted the Jewish Beta Rho Pi fraternity and the co-ed LGBTQ Zeta Delta Xi fraternity, both of which reside in the building. The messages were described by students as “violent” and “threatening,” according to Campus Reform. 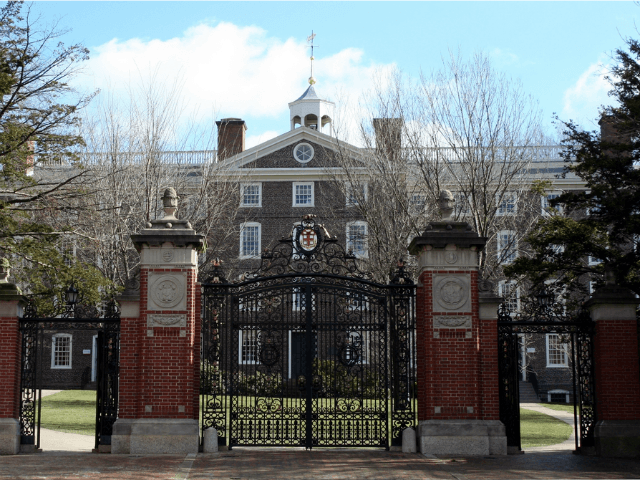 “Students say they are not surprised by the incident, given the history of anti-Semitism at Brown,” Campus Reform’s website noted. In an email sent Friday to the entire Brown student body, University President Christina Paxson expressed horror at the graffiti incident and promised that campus police would undertake a thorough investigation. “I’m disturbed, disgusted, and disappointed that Brown community members would do this, but am, sadly, not surprised,” she wrote. “While the graffiti has been removed, the impact of identity-based bias and threat is not easily wiped away. … This incident impacts not only those immediately involved, but threatens our shared sense of safety and respect on campus,” the email noted. However, JewishPress.com reported that the the university’s Crime Alerts page carried no mention of the vandalism on its list of incidents. The most recent incident to make the list was dated December 2015. “Anti-Semitic and anti-Israel sentiment has been allowed to fester on our campus for years now. I’m disturbed, disgusted and disappointed that Brown community members would do this, but am, sadly, not surprised,” BU student Laura Galvan told Campus Reform.